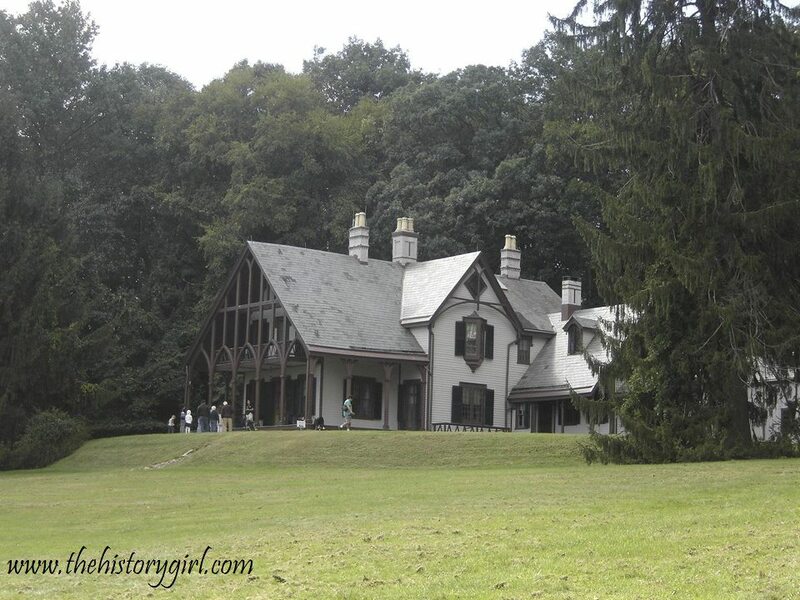 Weekend Historical Happenings: 10/11/14 - 10/12/14 ~ The History Girl! In an exciting performance, Neill Hartley, brings to life the tale of the Headless Horseman, within the candle-lit Allaire Village Chapel. You will be transported back to a time before television, radio, CDs, and electricity. The seating is limited to 100 for each performance, so advanced purchase is recommended. Only ticket-holders will be admitted to the performances. Ticket cost is $15 per person. To purchase tickets or for information, call 732-919-3500 and have your credit card ready. Tickets can also be purchased online at www.allairevillage.org/tickets. On Saturday, the Tuckerton Historical Society presents "Jersey Devil and Beyond" presented by historian Mark Demitroff. He will shares tales of local folklore and legend surrounding the Pines. This presentation will be held from 2:00 - 4:00 pm at the Giffordtown Schoolhouse Museum, 35 Leitz Blvd., Little Egg Harbor, NJ. For more information, call 609-294-1547. On this hands-on guided tour, discover the life of the domestic help at the Foster home, known as The Willows at Fosterfields Living Historical Farm. Assist with some house-hold chores. Program runs from 11:00 am - 12:00 noon. Admission: $6/adult, $5/senior (65+), $4/child (ages 4 -16), $2/child (2 and 3). FREE for children under age 2 and Friends members, with a current membership card. Fosterfields Living Historical Farm is located at 73 Kahdena Road, Morristown, NJ. For more information, call 973-326-7645 or visit www.morrisparks.net. Join over fifty history organizations who will have exhibit tables for this annual event at the Monmouth County Library Headquarters in Manalapan that began in 1996. Stop by on Saturday and learn about New Jersey's fascinating history and the interesting work and programs offered. The day will include a keynote address by historian Joseph W. Becton who will present a talk on “Music of the Civil War Era”, the Monmouth County History Forum, tours of the Monmouth County Archives, a history Game with many free prizes, and award presentations. This event is free to attend. The Monmouth County Library Headquarters is located at 125 Symmes Road, Manalapan, NJ. For a program of events on Saturday, visit http://co.monmouth.nj.us/page.aspx?Id=4362. From 2:00 - 4:00 pm, Penny Colman, author of Corpses, Coffins and Crypts: A History of Burial will discuss her book. Admission to the talk is $5.00 and included free with all tours on Saturday. On Saturday from 6:30 pm - 8:30 pm, the Trenton Museum Society is hosting its second "Art and Artifact Adoption Party" at the Trenton City Museum at Ellarslie in Cadwalader Park, Trenton, NJ. The $15 entrance fee charged at the door includes a wine and cheese reception as well as the opportunity to meet with board members who can answer questions about the art and artifacts on display in the museum. Attendees can view items such as books, directories, furniture, paintings, and maps in the Society's collection that need repair or restoration and "adopt" them by making a donation. These artifacts are rarely displayed in the museum due to their delicate condition. This year several monumental paintings depicting the John A. Roebling & Sons Company in its hey-day will be available for adoption. The first Adoption Party, held in 2012, was very successful in raising funds to conserve and restore items in the Trenton Museum Society's collection. The Trustees of the Society are looking forward to reproducing that success. Donations start at $50. By donating money towards a partial or the full restoration of a piece of art or an artifact in the collection, attendees are helping to put more items back on display and preserve the permanent collection. A donation forever links the donor to the preservation of the history of Trenton and the museum. To download a copy of the catalog with items available for adoption, click http://ellarslie.org/wp-content/uploads/2014/08/AA-Catalogpageorder.pdf. For more information, call 609-989-1191 or visit www.ellarslie.org. On Saturday afternoon at 2:00 pm, Pulitzer Prize-Winning Author Edward J. Larson will speak about the crucial, yet often overlooked period in George Washington's equally distinguished career and life, when Washington retired from the army to lead a quieter life at Mount Vernon in 1783. In The Return of George Washington: 1783-1789, Larson reveals how Washington "saved" the United States by coming out of retirement to not only lead the Constitutional Convention, but to also serve as America's first president. A book signing will follow the talk at 3:00pm. The discussion will be held at the Washington's Headquarters Museum, within Morristown National Historical Park. Cost: Free. For more information, call 973-539-2016 or visit www.nps.gov/morr. Thomas Edison is best known for the phonograph, light bulb, and motion pictures, but his legacy is much more. Join a ranger to explore Thomas Edison's West Orange laboratory complex and discover the many things that make up Edison's legacy. As part of the program you will make a hand print to leave behind as part of your legacy, just as Edison did. On Saturday, have fun with hands-on cider pressing as it was done in 1880s Milltown/Chester at the Cooper Gristmill. Use a hand-cranked apple peeler, decorate an apple, and see a display of apple head dolls. Cost: FREE but donations are welcome. The Cooper Gristmill is located at 66 Route 513, Chester, NJ. For more information, call 908-879-5463 or visit www.morrisparks.net. The Trial of the (19th) Century: The Story of Antoine LeBlanc"
On Saturday starting at 10:00 am, learn all about Morristown's most famous murder trial as you sit in the actual courtroom where Antoine LeBlanc was tried in 1833 for the murder of Mr. and Mrs. Samuel Sayre and their servant Phoebe. The triple murder trial shocked the entire state and resulted in LeBlanc's execution by hanging on the Morristown Green. 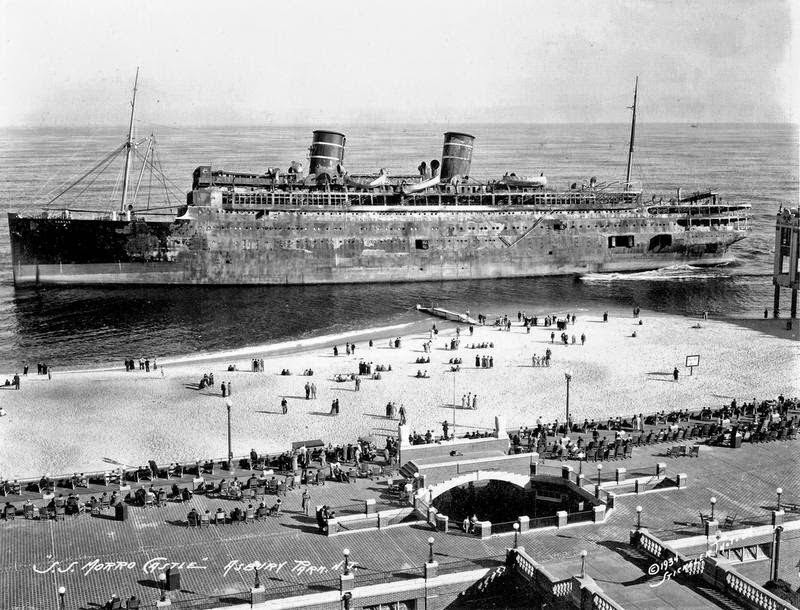 The story is told by the Honorable Kenneth C. MacKenzie, retired Judge of the Superior Court of New Jersey, historian, and member of the Board of Trustees of Historic Speedwell. He will share his legal insights into one of Morris County's most notorious trials. The program will be held at the Morris County Tourism Bureau, 6 Court Street, Morristown, NJ. Reservations and pre-payment are a must. For more information, call 973-631-5151 or www.morristourism.org/tours. Come visit Waterloo Village between 10:00 am and 5:00 pm for a day in this historic Morris Canal town. Enjoy boat rides on the Morris Canal, Smith's Store - a furnished canal-era store with hands-on activities, blacksmithing, see the operating grist mill, guided tours of 1859 Methodist Church, the Canal Museum - with exhibits and videos, and guided walking tours of the village. Admission is free. Waterloo Village is located at 525 Waterloo Road, Byram, NJ. For more information, call 973-292-2755 or visit www.canalsocietynj.org. Whitesbog Preservation Trust (WPT) will host a moonlight walk at Historic Whitesbog on Saturday from 7:00 - 9:00 pm. By the soft glow of moonlight, walk through the dark, mysterious pines, along white sugar sand roads, to the shimmering cranberry bogs. The air will be alive with birdsong. The leader will offer stories of the people who built Whitesbog, the local "Piney" folk, and the more recent American immigrants, all of whom worked here to make it one of the most successful agricultural enterprises in New Jersey. The Moonlight Walks were featured as one of the "Best of South Jersey" attractions by SJ Magazine, and have been referred to as "almost magical" in the Philadelphia Inquirer. The walk is weather permitting. $5 donation per person. Whitesbog Village is located at 120 North Whites Bogs Road, Browns Mills, NJ. For more information, call 609-893-4646 or visit www.whitesbog.org. Join The Old Barracks Museum for "Keeping Current: Electricity and Other Marvels in 18th Century Science," a day of exploring science! Come learn how to fly a model of the 18th century Montgolfier hot air balloon, watch recreations of Henry Cavendish and Joseph Priestley's early gas experiments, and partake in early field surveying and field engineering! We are also delighted to once again be able to host Mr. Michael Kochan as Dr. Benjamin Franklin, who will lead participatory experiments, including demonstrations of a scale model of the first ever submarine! You will also be treated to 18th century medical presentations, as well as open house tours of the museum throughout the day. This hands-on event will make for a delightful and educational family outing you will not want to miss! The event will be held on Saturday from 10:00 am - 4:00 pm, at the Old Barracks Museum. The Old Barracks Museum is located at 101 Barrack Street, Trenton, NJ. Parking the day of the event is free in the small lot directly next to the museum. Admission: $12 adults, $10 seniors/students, $4 members, and free for active military personnel and children under 6 years old. For more information, call 609- 396-1776 or visit www.barracks.org. 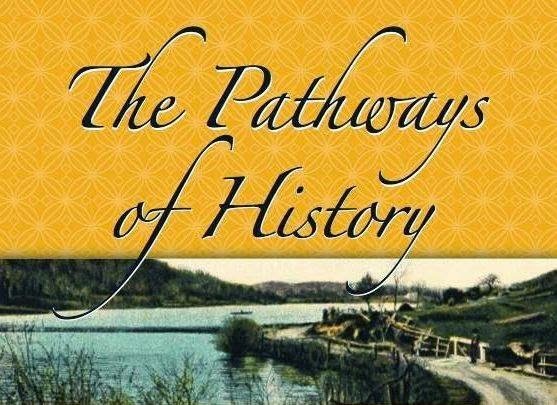 The Pathways of History Weekend Tour on Saturday and Sunday offers an admission-free opportunity to visit 20 northern Morris County landmark sites. Pathways began in 2010 when five neighboring museums established the event to entice visitors to their historic properties. In 2014, the group has grown to include 18 historic groups in Boonton, Boonton Township, Denville, Dover, Jefferson Township, Kinnelon, Lake Hopatcong, Mine Hill, Montville Township, Mount Olive, Mount Tabor, Parsippany, Pequannock Township, Randolph, Rockaway Township, Roxbury Township and Washington Township. The properties are all independently operated, but for the Pathways Weekend Tour on Saturday from 10:00 am - 4:00 pm and on Sunday from 12:00 noon - 4:00 pm, all sites will open their doors in simultaneous welcome. There is something for everyone to experience and enjoy on this family-friendly tour. Whatever your interest - it’s certain to be covered by this notable assemblage of small, volunteer-run historic groups. 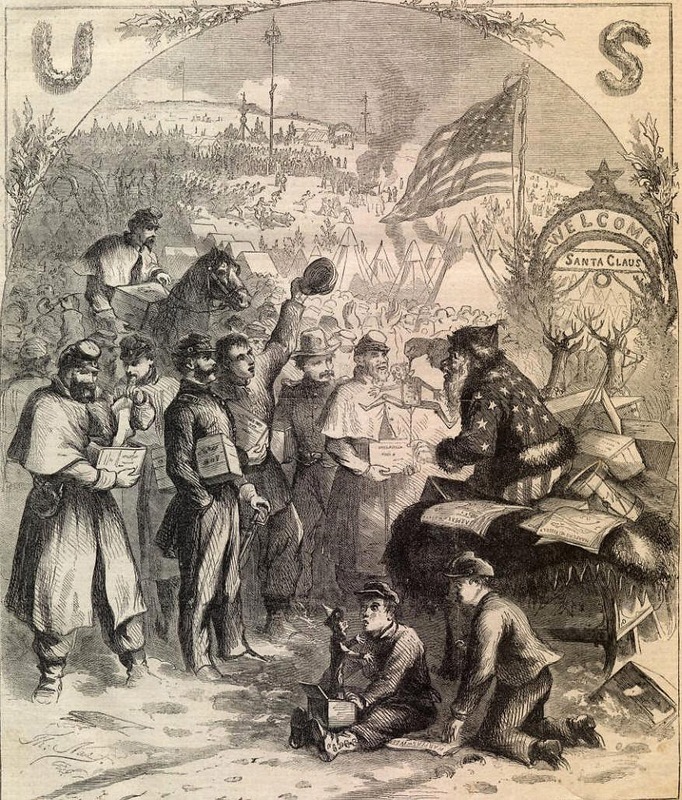 Some highlights of themes and subjects include: New Jersey’s original inhabitants, the Lenape people; Morris County’s pivotal role in the American Revolution; iron mines and forges during the American Revolution and in the years following; and the continued commemoration of the Civil War Sesquicentennial. Exhibits document how the Morris Canal, railways, industry, mining, commerce and agriculture have influenced and shaped the Pathways communities through the years. The museum buildings themselves, many listed on the New Jersey and National Registers of Historic Places, present an outstanding collection of architectural periods and styles. Venerable 18th century homes offer examples of Dutch Stone, Georgian and Saltbox construction. 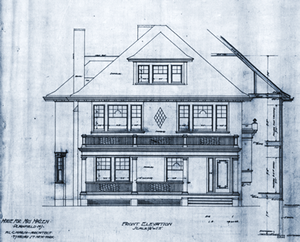 Designs of the 19th century are represented in buildings of varied uses and sizes including a Folk Victorian Camp Meeting Cottage, a Second Empire Victorian, an 1890’s Colonial Revival, a diminutive two-family iron miner’s dwelling included on the New Jersey Women’s Heritage Trail, schoolhouses, a railway station, a Morris Canal lock tender’s house, a general store, a church and several wonderful examples of vernacular farmhouses. If your own community museum or heritage site is part of the Pathways group you might begin your tour there; perhaps a specific property you’ve always wanted to visit would make the perfect starting point. During the event a brochure and map will be available at each venue to guide you to your next history stop of choice. Visit one, two, five, ten, or more! Helpful “Tours Within the Tour” have been suggested to assist in planning your route. Whatever Pathways you choose will lead you to a warm welcome and an enlightening historical journey. At sites along the way, you will see docents in period costume demonstrating crafts such as spinning, weaving and hearth cooking. Music and light refreshments are featured at some venues for your added enjoyment. Various locations will include special activities for children. Many of the museums have wonderful shops offering a selection of books, gifts, and souvenirs. For more information, a full list of participating sites, and directions, call 973-316-0976 or visit www.pathwaysofhistorynj.com. Victorian elegance and the magic of puppetry will be featured when the Boonton Historical Society joins the Pathways of History historic places tour on Saturday and Sunday. At the museum at 210 Main Street (the Dr. John Taylor House) in Boonton, the exhibit room has been transformed into Mrs. Taylor's parlor with Victorian furniture, artifacts and pictures of the era. In addition, the museum gift shops abound with gift items, books, postcards and Boontonware. At the Miller Kingsland House, 445 Vreeland Avenue, marionettes rule. The Kingsland Marionettes were famous in their heyday beginning in the 1930s. The marionettes were owned, created, and operated by Mabel Kingsland Head and her husband Cedric Head. Mabel was the last of the Kingslands to live in Boonton's oldest recorded home, the circa 1740 Miller Kingsland House. As well as a display of marionettes from different eras, story boards tell the story of the Kingsland Marionettes, billed as "The World's Greatest Traveling Marionette Show," and the world of puppetry. Antique and modern marionettes help tell the story as we discover another little known piece of Boonton history. Cedric Head had an outstanding collection of marionettes from all over the world, many of them rare or museum pieces. He was immensely proud of his collection which he housed in a large barn on the Kingsland farm property. In addition to the exhibit, marionette shows will be performed by Penny Rapicano with the Fun On A String marionettes at 2:00 pm on both Saturday and Sunday. For more information, visit www.boonton.org. Somerset County's ninth annual Weekend Journey through the Past, a collaborative heritage tourism program, will showcase 26 significant historic sites countywide that will be open to the public free of charge on Saturday from 10:00 am to 5:00 pm and Sunday from 12:00 noon to 4:00 pm. There will be a wide range of tours and activities to provide an enjoyable free weekend outing for the entire family. For comprehensive details, participating historic sites featured this year (including three new, first-time participating sites), information about how to qualify to win one of many pre-paid gasoline gift cards and advance information about the new "What in the World is That" kids/family detective investigation activity, call 908-231-7110 or visit www.SCHistoryWeekend.com. The Old Presbyterian Graveyard in Bound Brook is the final resting place of Bound Brook’s earliest citizens, as well as many Revolutionary War soldiers, veterans of the Mexican War, and the Civil War. Come and learn about this hallowed ground on Saturday from 10:00 am - 5:00 pm and on Sunday from 12:00 noon - 4:00 pm. See the impressive artwork on memorial stones. Learn the meaning behind the inscriptions and epitaphs. Glimpse into the hearts and minds of Bound Brook’s earliest citizens. Bound Brook Memorial Library Reference Librarian Mary Nelson will provide guided tours of the graveyard. The tours will feature the intact gravestones of fifteen Revolutionary War soldiers and the gravesite of Dr. William McKissack, a captain in the Revolutionary War and a founder of the Grand Lodge of Free and Accepted Masons for the State of New Jersey. The Old Presbyterian Graveyard is located on the corner of East Street & East High Street, adjacent to Bound Brook Library, Bound Brook, NJ. This event is part of Somerset County Cultural and Heritage Commission’s Weekend Journey Through the Past. It is free and open to the public. For more information, call 732-356-0043. On Saturday and Sunday, historical museums and heritage organizations throughout Sussex County will join with the Sussex County Arts and Heritage Council for a Heritage weekend. It is a wonderful opportunity to explore the history and uniqueness of Sussex County. Several participating organizations will be open including the Byram Historical/Roseville Schoolhouse Museum, DAR Elias Van Bunschooten Museum, Franklin Mineral Museum, Franklin Historical/Heritage Museum, High Point Monument State Park, Ogdensburg Historical Schoolhouse and Firehouse Museum, Peter's Valley Craft Center, Space Farms Museum, Sterling Hill Mining Museum, Stillwater Historical Museum, Sussex County Harvest and Honey Festival, Sussex County Arts and Heritage Council, Sussex County Historical Society, Vernon Historical Price's Switch Schoolhouse, Walpack Historical Van Campen Inn, Waterloo Village Heritage Day. The societies do not charge admission - but appreciate donations. The Sussex County Arts and Heritage Council is located at 133 Spring Street, Newton, NJ. For additional information and an updated schedule of corresponding events call 973-383-0027 or visit www.scahc.org. Steampunk is a whimsical genre based around the Age of Steam. Steam City is a little like a Renaissance Faire, only focused on a 19th-century world of mad science and madcap adventure. All are welcome! Come dressed any way you’d like – and you don’t need to know anything special or be part of any group or organization. Come out, bring your family, have some fun, meet nice people, and support a fantastic cause! Tickets are available in advance at http://jme.ticketleap.com/iscs14 - save money and time by buying your tickets in advance. They'll be waiting for you at the door! The event is open from 12:00 noon - 5:00 pm Saturday and Sunday and held rain or shine. The event benefits its location - Historic Speedwell - the birthplace of the telegraph! Entertainment by Unwoman; the most danceable tupperware band in the world, AHaloCalledFred; Psyche Corporation; the Looking Glass Revue, a Burlesque and Comedy Troupe; and more! · Learn about the telegraph - at its birthplace! The International Steampunk City is a concept developed and created by Jeff Mach. It is a blueprint for creating a charity benefit to help museums and historic buildings gain visibility, funding, and enthusiastic visitors, as well as bringing tourism and good times to a historic town! Steam City at Speedwell is an interactive festival in the park, on a beautiful autumn weekend, when people can come out and have a good time. Feel free to dress however you’d like, bring family and friends, and get ready for a great time! Historic Speedwell is located at 333 Speedwell Avenue, Morristown, NJ. For more information, visit www.internationalsteampunkcity.com. On Sunday, visit the 1796 Israel Crane House and Nathaniel Crane Houses and discover life 200 years ago in early Montclair (108 Orange Road), then make your way over to the 1896 Charles Shultz House (Evergreens, 30 North Mountain Avenue) and see this time capsule for the turn of the century. The Crane House is newly reinterpreted to reflect the YWCA period from 1920-1965. At the Charles Schultz House, celebrate the ghosts and goblins that come with Halloween, as docents will conduct special ghost tours, complete with real-life spine-tinglers. The Jacobus Vanderveer House will also be open for tours on Saturday from 10:00 am - 5:00 pm and Sunday from 12:00 noon - 4:00 pm during Somerset County’s 9th Annual Weekend Journey Through the Past. Tours are free. The Jacobus Vanderveer House is located at 3055 River Road (in Bedminster’s River Road Park), Bedminster, NJ. For more information, visit www.jvanderveerhouse.org. Stop by the Historic Village at Allaire on Sunday for their 19th Century All Hallows' Eve Celebration! The Village will be open from 12:00 noon - 4:00 pm. Admission is $5 per person and those under 6 are free. Free pumpkins (limited quantity for first come first serve). There will be a costume parade with prizes for children under age 12. Face Painting and village activities for children of all ages!